It is a wonderful privilege to teach our children about Jesus Christ. Children love learning about babies and other children. Through these records your preschooler and elementary aged child can grow in understanding of who Jesus Christ is. For Background: "Why Do We Need A Savior?" 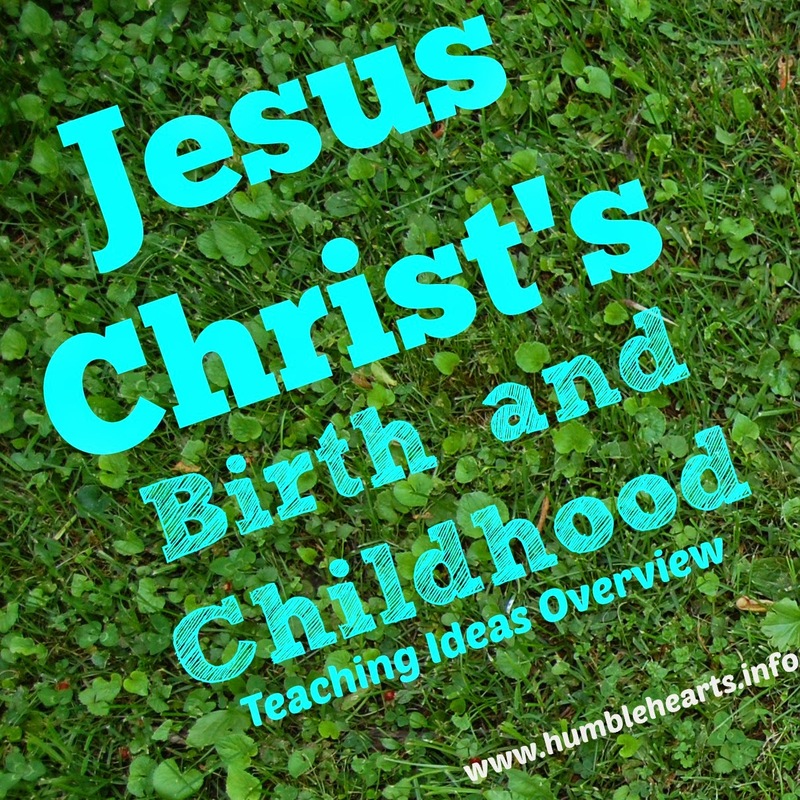 In everyday life the child will encounter songs and images that refer to Jesus Christ's birth. There are chances for your child to talk with people in the community about Jesus Christ's birth. Christ wasn't born in December. Christmas was made as a meld of a Christian celebration with a Pagan holiday. With all the activities in December, sometimes there is not as much time to go in depth on the topic. I found it helpful to read additional study material. I read “Jesus Christ Our Promised Seed” by Victor Paul Wierwille chapters 12, 13,15, 16, 17, and 18. If you have a Children's Bible, you may want to read from it when teaching your child of Jesus Christ's birth and childhood. Review it ahead of time to see if the pictures and words in the Children's Bible are Biblically accurate. We have found one that we like pretty well: NIrV Read With Me Bible. While you don't have to have visuals, they can help young children attend longer and engage in learning God's Word. A nativity scene - I was given a plastic nativity scene. My girls love arranging the pieces and retelling what happened. We also use other figurines (Lego's) and toy sheep that we have. Pieces of fabric or scarves for land and the night sky. 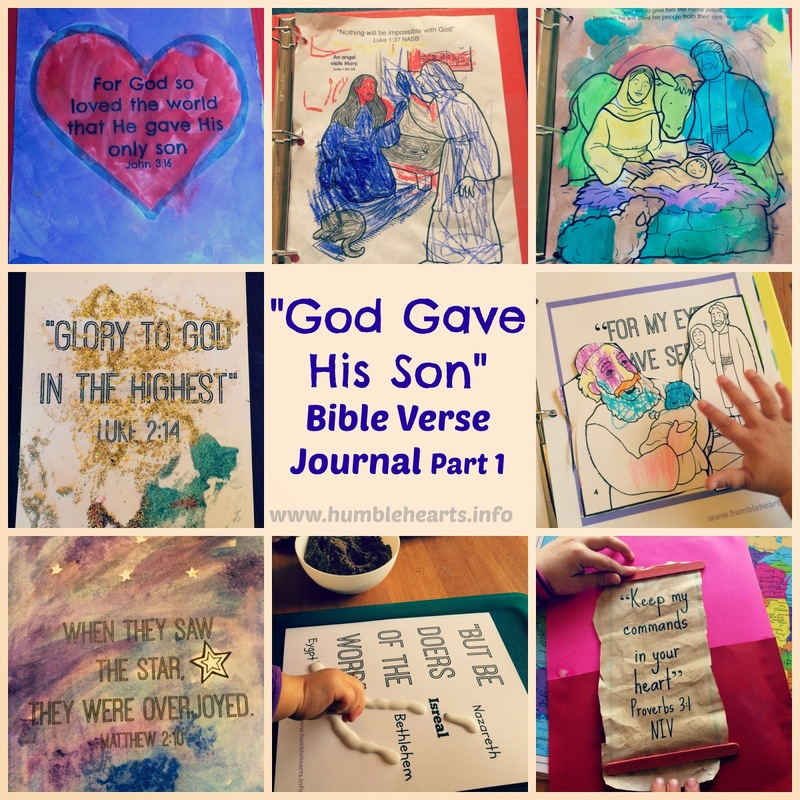 "God Gave His Son" Bible Verse Journal. 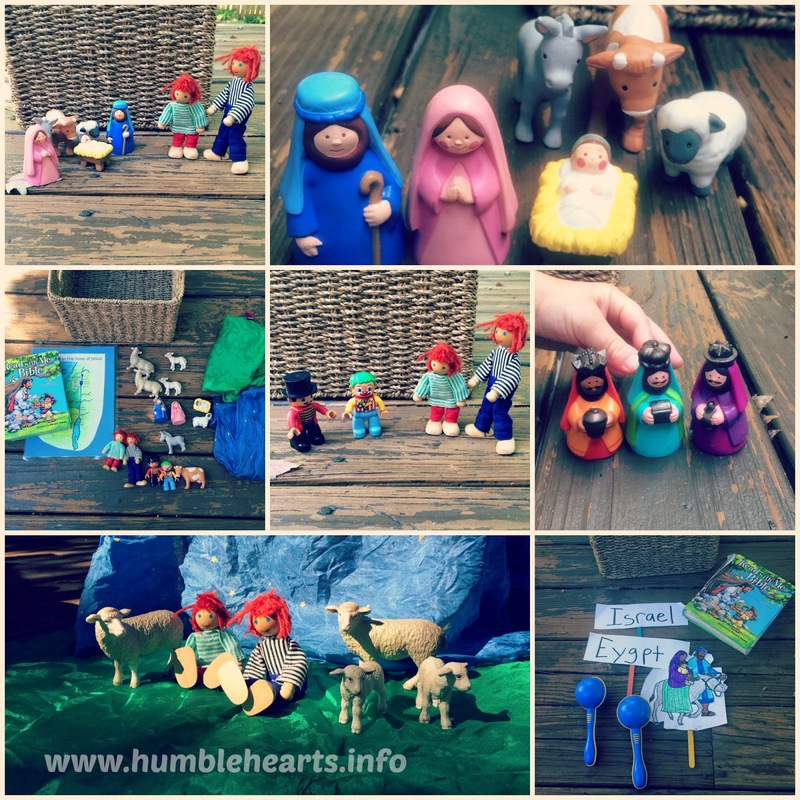 Each week do a craft around the theme verse. Put these in a notebook so that your child can be reminded of learned verses. 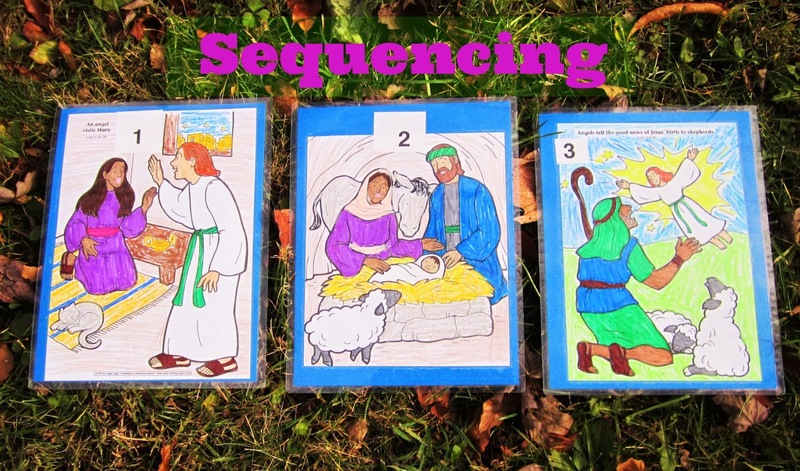 Sequencing pages - have your child put pictures in order of what happened.